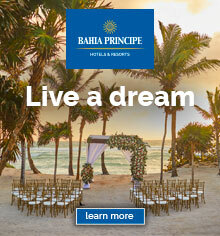 Part of the challenge of planning a destination wedding is choosing a location which all of your guests will enjoy. There are a few things in life which most people love unconditionally: good food, family and golf. While you may not love the game of golf yourself, it’s a virtual guarantee you have someone close to you who does. 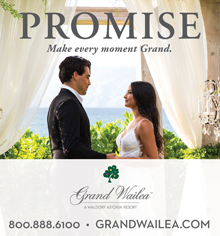 Fortunately, there’s one destination which meets all of these requirements come W-day – the PGA National Resort & Spa. With its Palm Beach Gardens, Florida location, the PGA Resort is an easy drive for most southeastern locals. It’s a three hour drive south of Orlando and seven hours south of Savannah. The resort is located minutes from world-class shopping and restaurants, not to mention some of the prettiest golf courses in the world. However, if you and your guests have the pleasure of staying at the PGA National Resort & Spa, there won’t be much need to go anywhere else. I was lucky enough to visit the resort during the 2012 PGA Tour Honda Classic which is played every year on the resort’s Champion course. For four days I watched some of the best players in the world struggle through the infamous three-hole stretch known as the “Bear Trap.” With tens of thousands of people flocking to the resort each day, the tournament taught me one thing – the PGA National Resort sure can handle a party. 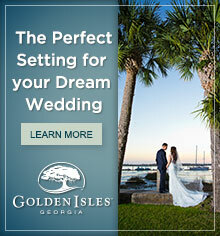 Needless to say, the resort is prime when it comes to planning destination weddings. It’s extremely popular due to its lovely accommodations, luxurious spa and, of course, the five world-class golf courses. Due to the sometimes unpredictable Florida weather, they boast a plethora of both indoor and outdoor venues. I attended several catered events during my stay and the food was stellar: fresh seafood, sushi, prime-cut steaks and delectable desserts. I have complete faith the resort could make your dream wedding menu a reality. The resort recently completed a full room and spa renovation. The 40,000 square-foot spa is unique with its “Waters of the World” outdoor mineral pools. The five signature golf courses have also undergone a facelift with new turf, bunkers and tee boxes. Between the unbelievable golf and relaxing spa, there’s no doubt your destination wedding guests will stay engaged and satisfied during their stay. This AAA Four Diamond Resort’s lobby is happening every night with live music, plush seating areas and a view of the gorgeous pool. While the resort has lots to offer, there’s no getting around the fact that golf is their game. 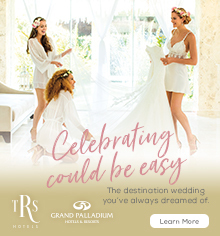 So, if you’ve got golf enthusiasts on your guest list, then look no further than the PGA National Resort and Spa for your destination wedding. The main image above is courtesy of the PGA National Resort. 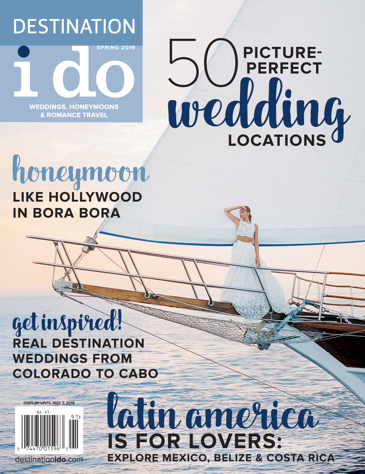 This article first appeared in Destination I Do’s Fall/Winter 2012 issue.